You’ve already known how to use Emmet abbreviations: its syntax is inspired by CSS selectors. Each abbreviation is transformed in runtime: just slightly change its name to get a different result. With Emmet you can quickly write a bunch of code, wrap code with new tags, quickly traverse and select important code parts and more! Users can easily add new snippets and fine-tune Emmet experience with just a few JSON files. 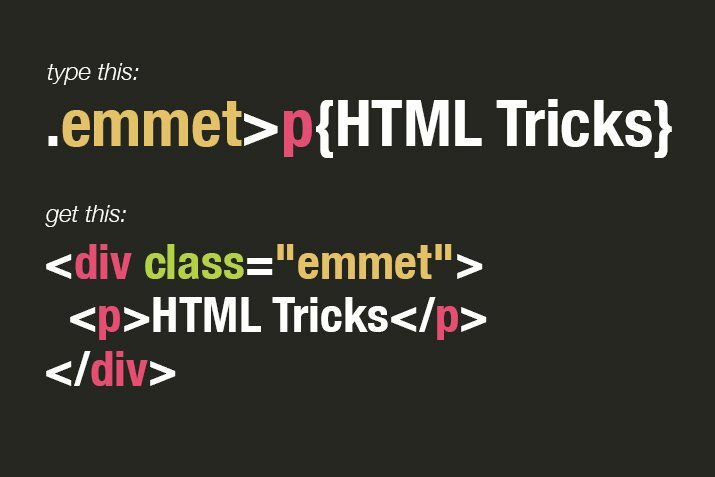 Dig into Emmet source code and re-use its modules to create your very own and unique actions.